Andrew Flintoff is just irresistible, it seems there won’t be anything in the world that this former all-rounder of English Cricket team can’t do. We have already seen him punching hard in the boxing ring, going wild in the jungle while working in a real wild show ‘Freddie Flintoff Goes Wild ‘on Discovery and then a professional footballer. According to the BBC website, the now the 40-year-old career chameleon is taking the driver’s seat as one of the two new hosts of Top Gear, along with comedian Paddy McGuinness, and will join existing host Chris Harris. 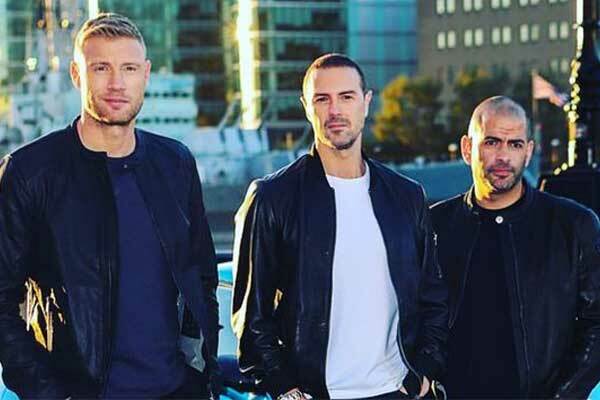 Filming for the 27th Series of the long hit car show which will begin in the Early 2019, Flintoff will take over the role from his former Friends Star Matt LeBlanc. Flintoff has made bright career media post his cricketing phase of life. Well Known, for bringing in Ashes series in 2005, he was also a part of Australia version of ‘I’m a Celebrity … Get Me Out of Here!’ which he went on to win. The English all-roader has retired from international cricket in 2013 due to a knee injury, he retains a record of playing 79 tests, 141 ODIs and Seven T20s for England. “This is a thrilling manoeuvre from the Top Gear team and I’m relishing what this trio will deliver. Both Paddy and Freddie love their cars but, more than that, they’ll bring a new energy and competitive spirit to Top Gear,” Patrick Holland, the controller of BBC Two, said.